The 13th Annual Meeting of the Hazen’s Notch Association took place on Saturday, September 29, 2007. Forty adults and children took part in a range of programs that included a guided tour of the High Ponds Farm, a geology program at Bear Paw Pond and a Native Americans program. Many people enjoyed a delicious lunch prepared by Sharon Anderson & Debbie Benjamin by Bear Paw Pond. Thanks to all the volunteers who helped make this year’s meeting and festival a success. 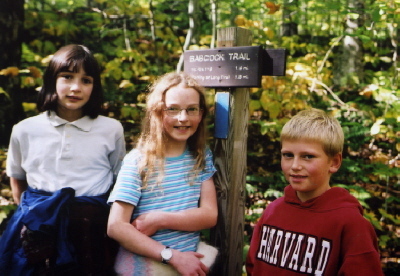 2007 was another successful summer at Hazen’s Notch. 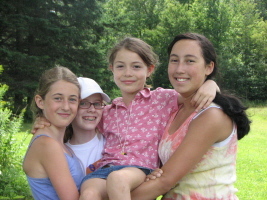 Over 130 campers enjoyed week-long sessions of Day Camp and Overnight Camp for ages 6 to 14. Camp staff included Sharon & Rolf Anderson, Megan Martinson, Debbie Benjamin, Andrea Wilde, Alice Smolinsky, John Smolinsky, Mary Tryhorne, Ailynne Adams. Thanks to Ryan Smith for volunteering one week this summer. Special thanks to Mark Brouillette for volunteering to drive Ken Cota’s school bus to transport campers to and from the Babcock Preserve and the High Ponds Farm. We are especially grateful to Jane Williams & Gilles Caron, Lynda Fraser & Chuck Jaschke, the Gomel Family, Elaine & Peter Thoms, Laurie & Jeff Usheroff, Janet & John Cheffins, Violet & Chic Schafer, Chantal & Fred Pye, Pixley & Don Hill, Anne & John Van de Kamer, Nicole & Daniel Picotte, Larry & Diane Betts, & Jan & Nick Frey and for their strong support of the HNA Campership Fund. This year’s first ever art theme camp was very popular. Campers painted with watercolors on rice paper and made kites with their art. They made a banner using acrylic paints on canvas, practiced weaving with a variety of fibers, made and decorated plaster casts of animal tracks, and learned photography techniques with both a traditional 35 mm and a digital camera. Examples of their art work and framed photographs documenting the week are on display at the Montgomery Town Library through October 31. The photographs will then be displayed at the Welcome Center beginning in mid-December. It just wouldn’t be summer without Montgomery’s Success by Six families joining us for Hazen’s Notch Summer Days on four Fridays in July. It’s so good to see these young children and their parents become immersed in the wonders and beauty of nature in their formative years. 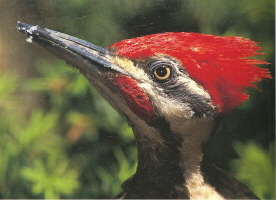 Programs included Wetlands Discovery, Woodland Wildlflowers, Native Americans and Forest Trees. Thanks to Jade Kelly Dixon-Boles for organizing the activities and to Sharon Anderson, Debbie Benjamin & Megan Martinson for leadership. This has been an inspiring year for Montgomery Community Gardens. Emily Curtis-Murphy created garden plans for a teaching garden at Little Rock Pond and the school garden at Breezy Acres Farm. Emily selected and started the seeds and tended the plants at the Welcome Center with grow lights provided by Gardener's Supply Company. Emily's extensive knowledge, experience and dedication to growing vegetables played a significant part in making this first full year of the program very successful. Thank you Emily ! Rolf Anderson, Sherman Webster & Nate Osowiecki put up a 12' x 20' greenhouse at the High Ponds Farm. Debbie Benjamin, Alice Smolinsky & Rolf Anderson built wooden greenhouse tables modeled after a design from the White Flower Farm. Mark Brouillette generously hosted community gardens at his Breezy Acres Farm on the Fuller Bridge Road. Mark tilled manure into the garden soil at Breezy Acres Farm and compost from Diamond Hill Farm in Sheldon into the new garden plots at the High Ponds Farm. Sherman Webster installed an irrigation system at the Breezy Acres Farm with a grant from the Vermont Community Garden Network. 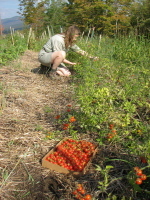 Montgomery residents rented garden plots at the Breezy Acres Farm and grew their own food. This was the first time in Montgomery that residents without tillable soil on their land could grow their own food elsewhere in town. Several more people are interested in renting a plot in 2008. MCG will expand the number of plots to meet the demand. 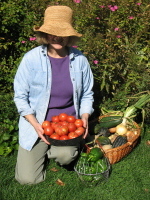 Debbie Benjamin & Sharon Anderson developed and led free gardening education programs for young children and their parents which took place twice each month from May through September. 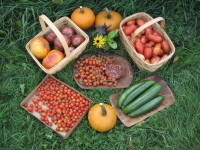 For complete information about Montgomery Community Gardens. Montgomery Elementary School 6th and 7th graders had a seed germinating class with Debbie Benjamin and started plants in their classroom with grow lights from MCG. These plants eventually made their way to gardens at Bear Paw Pond, the High Ponds Farm and Breezy Acres Farm. Food from these vegetables went to the HNA Overnight Camp and the Montgomery Elementary School. Thanks to a grant from Vermont Community Gardens Network for the installation of an irrigation system at Breezy Acres Farm Community Garden. Special thanks to Rachel and Abe Gomel for their generous support of our gardening education programs. Thanks to Noela & William McGroarty of Richford for their very generous gift to the HNA Land Protection Fund. 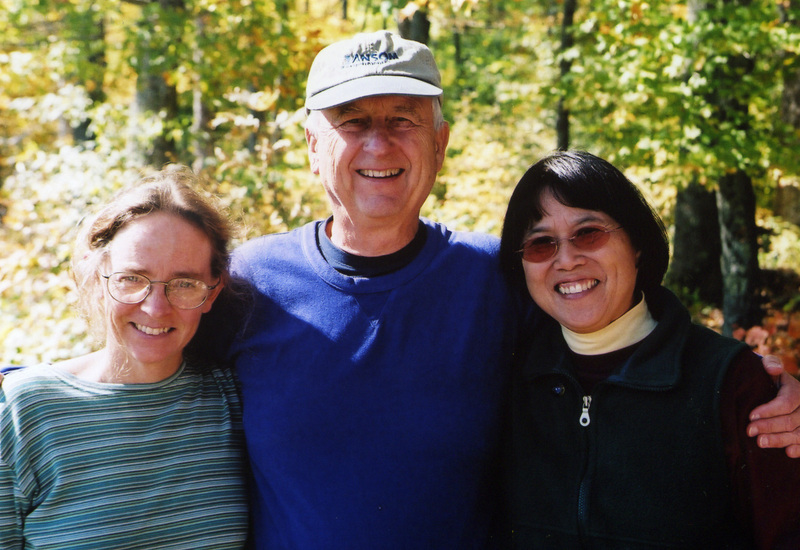 As we move forward in our plans to conserve open space, wildlife habitat and recreational trails in Hazen’s Notch and to raise the necessary funds, we will remember Bill and Noela’s leadership support. 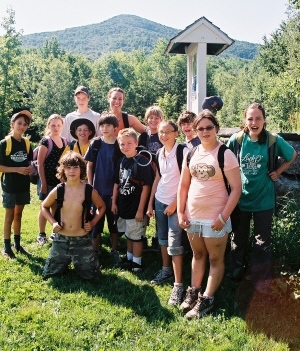 The Association’s budget is supported by Summer Camp fees and donations to the Campership Fund, School Program fees, Winter Trails use fees, and Membership donations. Each year over 400 people make membership donations to the HNA. Thanks to everyone who responded to the membership appeal that was included with our Spring newsletter and Summer Camp information. If you have not already made a membership donation in 2007, please do so now. Help sustain the success of the Hazen’s Notch Association. If you’re not already a member, join your friends and neighbors in supporting an organization that is making a real difference in the lives of northern Vermonters. We value your support. Thank you ! HNA Board members who served in 2007 included Sharon Anderson & Rolf Anderson of Montgomery, Joann Bennett of Montgomery, Jane Halbeisen of Westfield, David Hunter of Newport Center, Anne McKay of North Troy, David Ransom of Waterville, Charlotte Rosshandler of Richford, and Louise Wright of Enosburg. David Ransom and Anne Mckay completed their 2nd terms on the HNA Board at the September Annual Meeting. In all Anne served 5 years on the board and reinforced the association's commitment to providing summer camp and school programs for children. David, along with his wife and former board member Louise, contributed much time and energy to maintaining trails and bringing additional schools to Hazen's Notch. David's strong leadership as Vice President helped to create important connections between the board of directors, landowners, trail users supporters and volunteers. Thank you David and Louise Ransom and Anne McKay for your wonderful service to the Hazen's Notch Association. Charles Meunier of Swanton, and Patricia Lambert of Richford were elected to their first term on the Hazen's Notch Association Board of Directors. David Hunter was elected to a 2nd term.